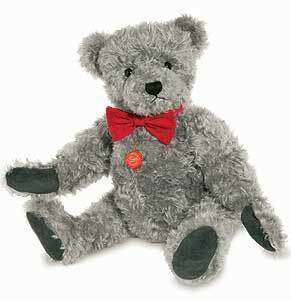 November Teddy Bear, by Teddy Hermann is a large bear, fully jointed and made of the finest wavy grey mohair. He looks very smart with his Red Bow Tie. ONLY 1 LEFT NOW IN STOCK!